so please save in your favo(u)rites. * Files moved to conserve storage space. Archive newsletter files dated before December 2001 have been scanned from B/W paper originals. 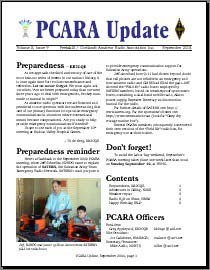 PCARA thanks LANline Communications for housing this archive of electronic newsletters. Back to PCARA web site. PCARA web; page last updated 09-Apr-2019.